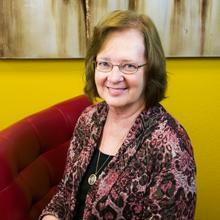 This week we are bidding a fond farewell to longtime employee Linda Williams. After over 16 years with Volt Industrial Plastics, Linda has decided it is time to retire and enjoy her hobbies, travel, and her grandchildren. She isn't escaping entirely as she will be a consultant, returning if, and when, we need her. Linda has been an integral part of the growth of VIP over the years and her knowledge, experience, and advice have been much appreciated by Joe Volltrauer, CEO, and Heidi Volltrauer, our COO. Joe has said he will miss being spoiled by Linda and is hoping to get the same treatment from Carey Fletcher, who will be stepping into Linda's shoes. Farewell Linda. We all wish you well and will miss you.